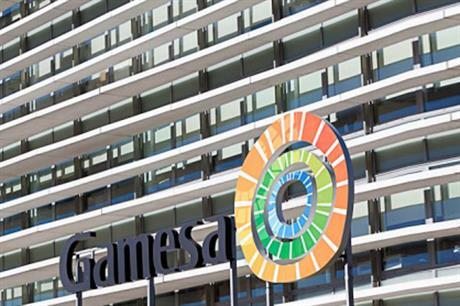 SPAIN: Gamesa has secured a syndicated loan deal worth €750 million in order to make its funds more accessible. The loan agreement was signed with a syndicate of 15 Spanish banks and international financial institutions. It restructures the manufacturer's two previous loans, which were due to mature in 2016 and 2018. The new deal means Gamesa will pay a single lump sum repayment in December 2019. Gamesa said the deal strengthens and increases the flexibility of its long-term financial structure. The Spanish manufacturer doubled its net profit to €64 million in the first nine months of 2014 due to an increase in revenue and margin. It banked revenues of €1.9 billion, 17% up on the same period in 2013, on the back of a 31% bump in sales to 1.8GW.